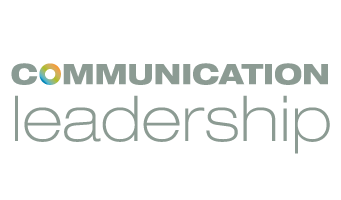 To meet the growing demand for content strategists, the Communication Leadership graduate program launched the online Storytelling & Content Strategy Certificate Program. This certification provides a competitive advantage to communications professionals of all stripes, insuring that students can make the leap from simply broadcasting information to crafting engaging, authentic relationships. Created by Comm Lead Director Hanson Hosein and faculty Andrea Zeller, the program’s goal is to endow students with a lasting framework for handling content at all stages. This includes determining the needs of one’s audience, creating powerful user experiences, and measuring success. The year-long, not-for-credit curriculum breaks down into three consecutive classes: Content Creation: The Power of Storytelling, Content Strategy: Crafting the User Experience, and Content Science: Data Analysis & Understanding the Problem. Each is taught live and online by practicing content strategists and stresses collaborative learning and problem solving through real-world client case studies. Thanks to Comm Lead’s dynamic network of industry experts, the Certificate Program also grants students access to great speakers, professional connections, and a valuable window into the field as it works today—from the comfort of their own home. Though by its nature, the online certificate can offer only a fraction of the value of the full Comm Lead graduate program, it is an excellent gateway to harnessing the power of a “Communication First” world. So no matter where you are, dive in with us.